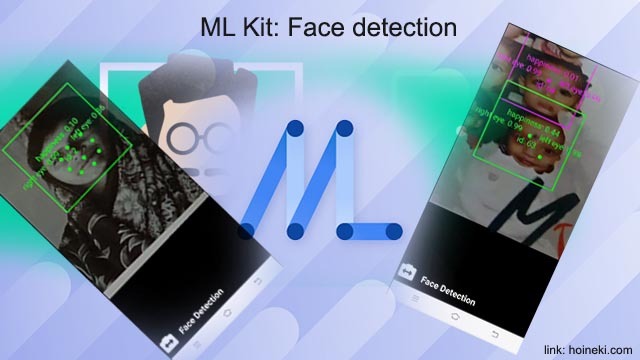 This Machine Learning Kit(ML Kit) tutorial is prepared to help you quickly get started with using Machine learning models in your app. 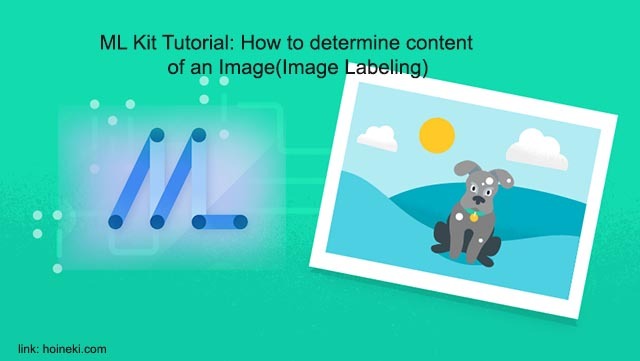 In this article, we will learn how to use ML Kit to recognize text in images. 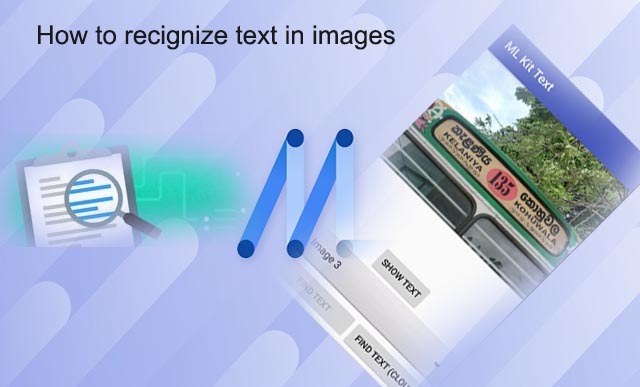 The ML Kit has two types of APIs for text recognition: a general-purpose API suitable for recognizing text in images, such as texts of a street sign, and an optimized API for recognizing texts of documents. The general-purpose API has both on-device and cloud-based models. Document text recognition is available only as a cloud-based model. 1. First create a project in Android Studio and name it say, MLKitText. 2. Add a project in the firebase console. 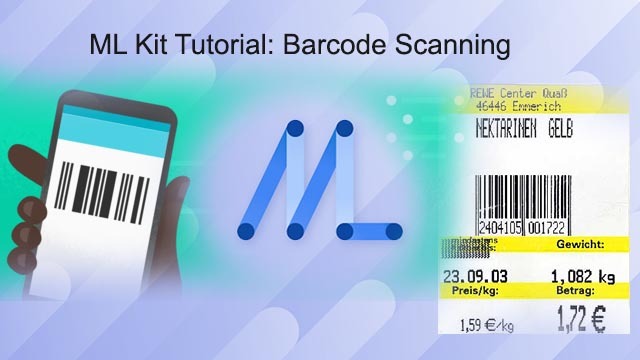 Give a name to the project(in my case it is "ML Kit Codelab") and add the package name of your app(in my case "com.hoineki.mlkittext"). Then download the google-services.json file and add it to the app directory of your project. 4. 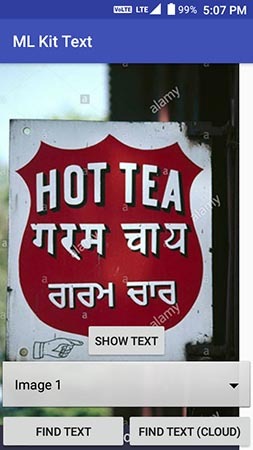 Put three images(with signboards or streetsigns) in the drawable folder. For quick setup you might directly use these images. // Process FirebaseVisionCloudText object. You can obtain the plain text by texts.getText() method. Click the first FIND TEXT button to load the ondevice text recognition model. Then click the show text button to see the extracted text. You will find that the ondevice model is loaded and works but the cloud-based model is not loaded. This is because the project is not upgraded to Blaze plan and the Cloud Vision API is not enabled. Open firebase console and select the project. Select the Blaze plan and do the necessary billing. And then your project is upgraded and you should see upgrade option disappear from the left panel. Select your project from the drowpdown menu at the top. Then Enable the API by clicking on the Enable option. 12. Now try loading the cloud-based text recognition model from your app by clicking on the FIND TEXT(cloud) button. It should work now. You shoud see that cloud-based model is more accurate and can detect multiple langauges. 13. Now that you have successfully loaded the cloud-based model, lets draw the detected texts in the image itself. For this, include TextGraphic.java, CloudTextGraphic.java and GraphicOverlay.java in your project. Then modify MainActivity.java like this and modify activity_main.xml like this. 14. Now run the project. You should see that the app is now completed exactly as shown in the video above. Note that in the MainActivity.java file, we have scaled down the input images before passing them to the detectors. This is done to improve the latency of the image processing tasks. And thats it! You have just learnt how to use the ML Kit. 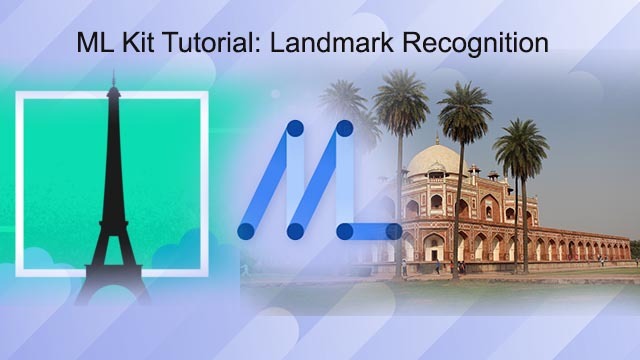 This is the first tutorial of the ML Kit tutorial series. If you have any issue while running the project or setting it up, just leave a comment below.